of the greatest fraternity in the world? Freemasonry is the oldest continuously operating fraternity in existence. We are a service oriented organization dedicated to Philanthropy, Friendship and Brotherly Love, and the concept of Divine Light and Truth. An old adage of Freemasonry is that we take "good men and make them better." This is accomplished through many moral and spiritual lessons taught and reinforced by ritual and lecture as one progresses through the degrees of Freemasonry, from Entered Apprentice to Fellowcraft and then Master Mason. Candidates are active participants from the very beginning. Our ritual is elaborate, and our lore and Craft are extensive. One could spend a lifetime in Masonic study continuously learning and gaining insight into our spiritual and moral lessons, and our traditions, history and philosophy. 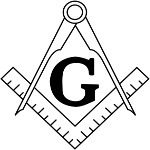 Traditionally, Freemasons do not "solicit" membership. One must ask to join our fraternity. That is, one must join of one's own free will, without coercion, pretense or ulterior motive. One must also have a personal belief in a supreme being or deity, or some spiritual or divine concept. Your personal spiritual conception or religious conviction is of no concern to us, but you must possess spiritual faith or belief to be a member of our fraternity. Our primary concern is that you have spiritual belief, and that you have a sincere desire to act in a beneficient and respectful manner within the norms of traditional society, that you conduct yourself in a moral and ethical manner and that you respect and abide by the customs, rules and laws of your current region or country of residence. To Be One Ask One. If you live in or near Midlothian, Virginia and would like to join our Lodge, or if you simply want more information, please contact a Lodge member, if you know one, or one of our Lodge Officers. Copyright 2016-2017 Midlothian Masonic Lodge 211 A.F.&A.M.